Bootcampers in The Wild | Ty Templeton's COMIC BOOK BOOTCAMP!! James Cooper is writing and directing his first feature film. His latest short film, Interview With a Time Traveler is available for viewing online. 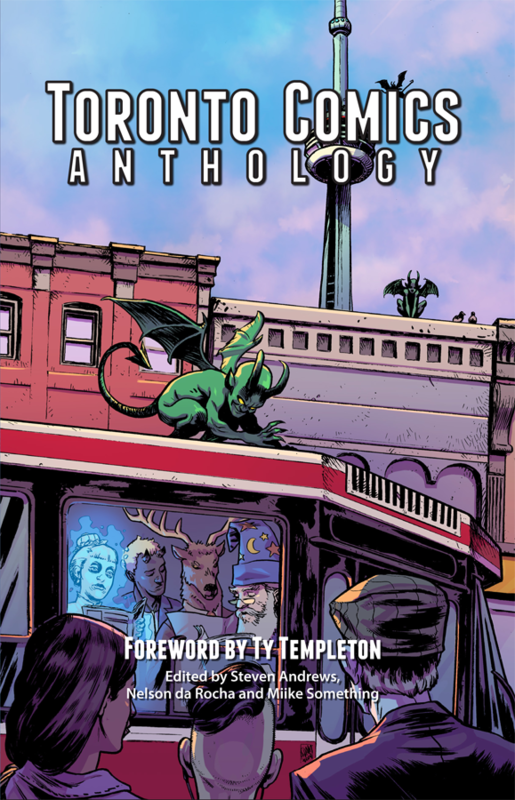 Bootcampers Todd Sullivan, Christopher Bird, Nelson da Rocha, Stephany Lein, Oliver Ho, Brice Hall, BC Holmes, Greg Jensen, and Daniel Reynolds some of the creators involved in Toronto Comics Anthology, a book that sprang out of a casual suggestion by Ty Templeton. The cover was done by Adam Gorham. The creators and founders of TCA were so impressed with the enthusiasm of the participants and the readers that they are moving ahead with Volume Two. Adam Gorham has been a busy busy artist! As well as the cover for the first volume of Toronto Comics Anthology, he did a variant cover for Teenage Mutant Ninja Turtles/Ghostbusters #2 (IDW), available this week at your LCS. 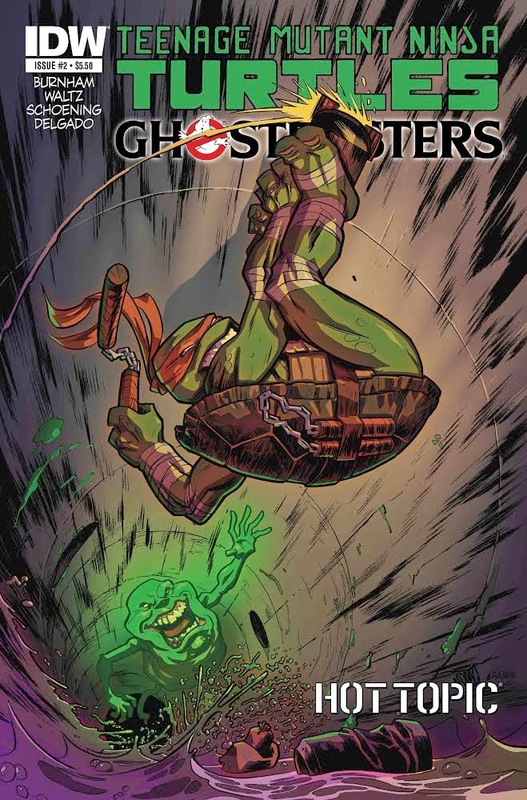 Check Adam’s blog, A Princely Dreadful, to find out when his next TMNT/Ghostbusters covers (for #3 and #4) will be out. While you’re at your LCS, check for a copy of Zero #12 (Image), written by Ales Kot, art by the one and only Adam Gorham! Al’Rashad: City of Myths, a webcomic written by Christopher Bird is still ongoing; new page posted each week. Meaghan Carter has completely finished her webcomic, Take Off! It is now available in three volumes. This entry was posted in Alumni, Bootcampers by comicbookbootcamp. Bookmark the permalink.